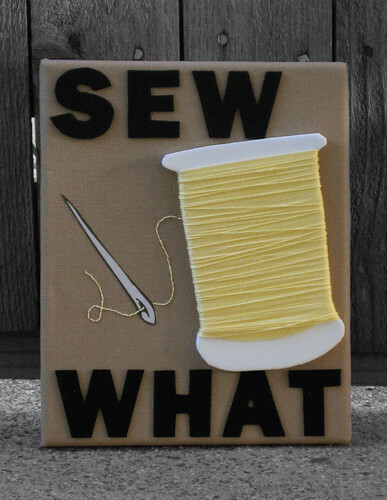 This fabric canvas features some serious sewing attitude. The thread is hand-stitched and the letters are made from eco-friendly felt. Limited Edition of 10 (8 x 10) Handmade Fabric Canvases, each numbered and signed with label of authenticity. The canvas comes ready to hang or can be placed on a table-top easel. Or, you can contact me at orders@thecuriouscanvas.com to discuss your custom order! 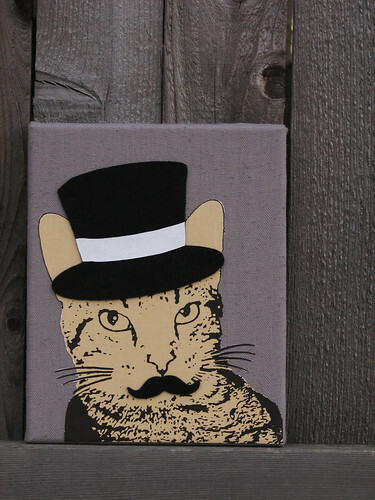 This fabric canvas features Milo the Cat putting his finest feline foot forward. His hat and mustache have been created out of eco-friendly felt made from recycled plastic bottles. 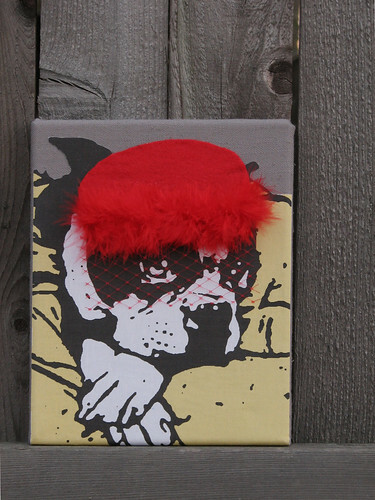 This canvas features a Boston Terrier nostalgic for the simplicity of memories and the good ol' days. Photography reference was donated by Deanna of Turtlehead Press. The felt used in this canvas is eco-friendly and made from recycled plastic bottles. My name is Tania, and I love all things arts and craftsy. From attending shows to vending all sorts of crafty creations, I have kept myself very busy with the local arts & crafts scene through my other sites: The Curious Cake Shoppe and DFW Craft Shows. Having grown up with very little ability to draw (despite all my desperate efforts to excel at it), I always thought I would be stuck on the outside of the art scene. One night as I lay awake in bed, an idea hit me. I was so excited about it that I could barely sleep. I immediately got to work the next morning, and with a bit of trial and error, The Curious Canvas was born! 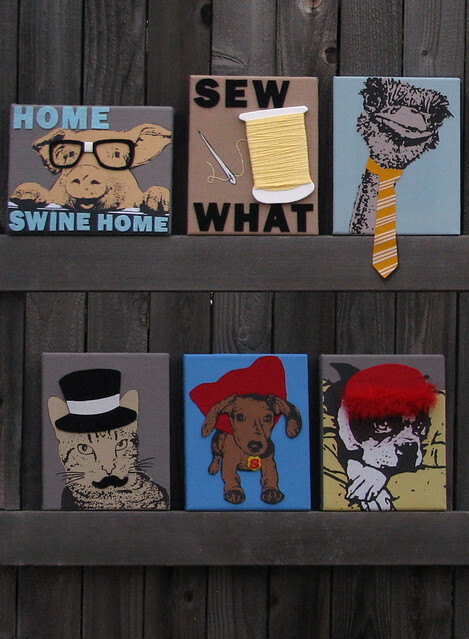 These canvases combine my love for graphic design, photography, color, and textiles into one neat little 8 X 10 canvas. I hope you enjoy them as much as I love making them. These canvases will be debuted at The Funky Finds Experience, an all indie Arts & Crafts show featuring over 130 vendors this Saturday and Sunday!